Pandora (s p) went public, and Spotify successfully launched in the U.S. So which streaming music service tops them on smartphones? 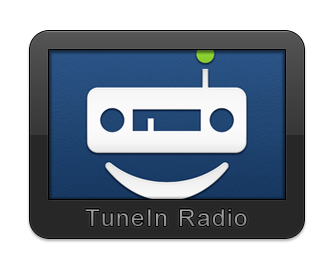 Try TuneIn Radio. That’s the word according to Onavo, a mobile data management and compression service, that has done some work to figure which are the most popular mobile music apps and what their data usage is. Onavo, which runs user traffic through its compression servers to reduce data usage, pulled anonymous data from more than 100,000 users in October, looking at music apps that connected to the Internet. Onavo found that TuneIn, which lets people live-stream local radio stations, was the top music service on the iPhone (s aapl) in October, with 6.6 percent of users on the service at some point during the month. TuneIn came out ahead of Pandora (5.8 percent) and Spotify (3.6 percent), while all other music services had less than one-percent penetration. On Android (s goog), Android Music — the music player for Android which can now connect to Music Beta, Google’s cloud service for streaming a user’s personal content — has the highest penetration with 7.6 percent, followed by download and streaming service Amazon MP3 (s amzn) (5.4 percent). Amazon’s service is a combination of downloads and music streamed from its Cloud Drive/Cloud Player service which works on Kindle and Android devices. After that, TuneIn Radio (4.9 percent) is third ahead of Pandora (4.6 percent) and Spotify (3.2 percent). Pandora users consumed the most 3G data, according to Onavo, gobbling up an average of 139 megabytes per user monthly on iOS and 122 megabytes per month on Android. Rhapsody (147 MB per month) had even higher data consumption on iOS though much less on Android. The high usage may be a combination of more dedicated users and the fact that Pandora subscribers get higher quality audio with a higher bitrate than non-subscribers. Now take this all with a grain of salt; Onavo isn’t a seasoned market research firm, and this isn’t a simple comparison of identical services. Pandora is more of a personalized Internet radio service, while Spotify offers streaming from an unlimited library. TuneIn radio does music from local radio stations but additionally runs talk, sports, news and other programming which are also big draws. But it’s still interesting to see how popular TuneIn Radio is with Onavo’s users, who lean more toward early adopters. It shows that there’s still a lot of appeal in tapping traditional radio, which has a wide diversity of programmed content. The results also show that Android users appear to be taking advantage of Android Music Beta and Amazon’s MP3 music service. It’s also interesting to see what the average data footprint is for certain services. Pandora won’t bust most users’ data caps, but it’s still a significant amount of average data use. Increasingly, users may have to start counting their bits as they come up against new data caps. That’s of course the business that Onavo and other data compression services are in. But it’s a reality that music lovers are going to have to deal with more in the future. If you want to avoid the battery sucking that streaming causes then you can use DAR.fm to record radio shows/stations and then quickly download them to your phone. This also allows rewinding and fast forwarding which is handy. While TuneIn allows me to listen to a plethora of international localized and internet-based radio stations, it still takes up the most battery power of the streaming apps on my Droid 2 and has more frequent disruptions, freezes, etc. I have found Last.fm’s subscription-based streaming to be the most reliable and is highly adaptive to my “loved” and” banned” tracks. Amazon’s comes second as more reliable and easy to use. Their interface is one of the best designs I’ve seen. Spotify still has some quirks to it both with design and reliability, but the service provided surely makes up for that so far. 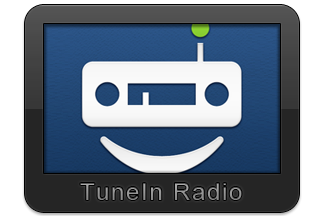 TuneIn radio is also available for other mobile platforms, including Windows Phone 7.